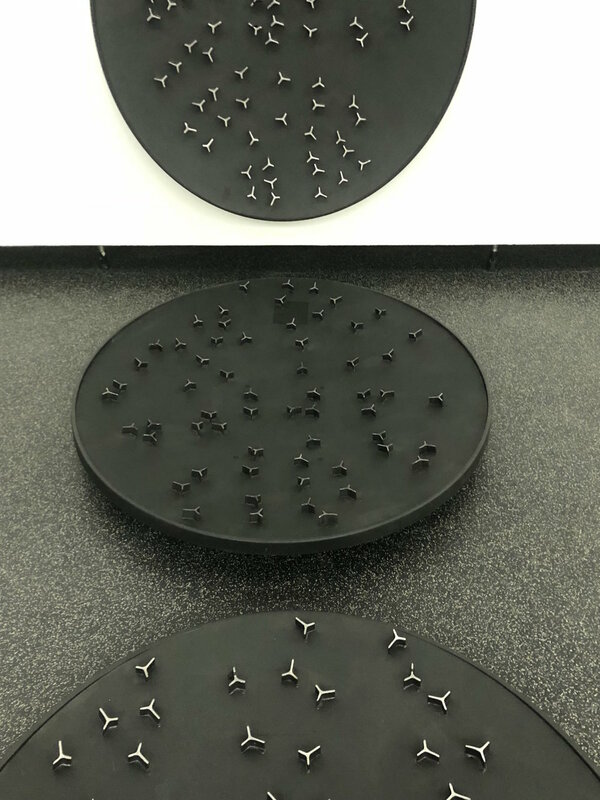 It is a pleasure to see StarPicket installed in our main exhibition space at Orange Regional Gallery. This fine exhibition is the culmination of years of preparation by Aleshia Lonsdale and Phoebe Cowdery and all the artists involved. By creating personal interpretations of these experiences, they show us how genuine engagement across time and cultural divides is itself a kind of wayfaring, through which we make sense of the world and acknowledge those who came before us. 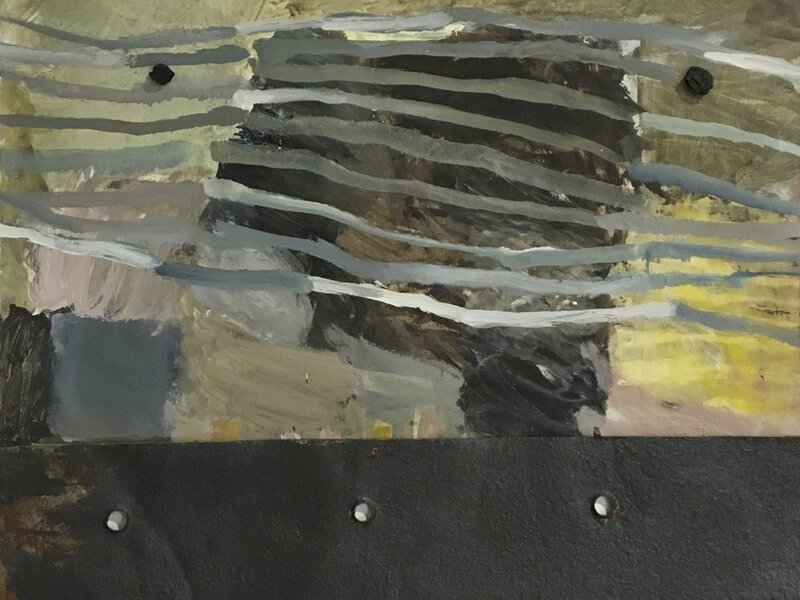 When Phoebe Cowdery and Aleshia Lonsdale brought the concept of the exhibition to us in late 2016, I was immediately drawn to the opportunity to support the generation of new work by the participating artists, many of whom are based in the Central West. I’d like to congratulate and thank Aleshia, Phoebe and the other twelve artists for realizing this project and sharing their vision with our audiences. StarPicket also wouldn’t have come to fruition without the supporting vision of Create NSW, Regional Arts NSW and Arts OutWest. 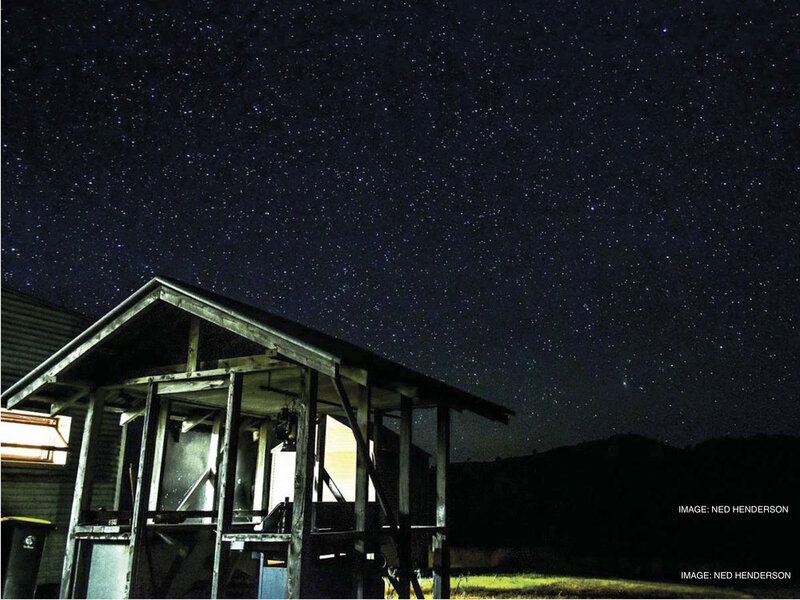 The central idea of inviting contemporary artists to respond to Indigenous traditional owners’ and elders’ interpretations of the night sky is at once elegant and complex. There is an initial poetic response to the idea, followed by a need to take seriously the cultural challenges presented by an ambitious project such as this. The Mungo field trip enabled artists to gain knowledge about sky stories, cross cultures, seasonal farming practices, flora and fauna, travel routes, geomorphology and mapping. StarPicket is the result of a multi-form arts project initiated by the CORRIDOR project in 2015. Curators Aleshia Lonsdale and Phoebe Cowdery invited 14 regional and metropolitan artists (including the curators) during 2017 to participate in workshops involving soundscape and astronomy facilitated at the CORRIDOR project, Cowra. This valuable extension of professional practice was furthered by a fieldtrip to Lake Mungo in June 2017, with artists investigating sky navigation with relevance to cultural meaning, history and geomorphology. 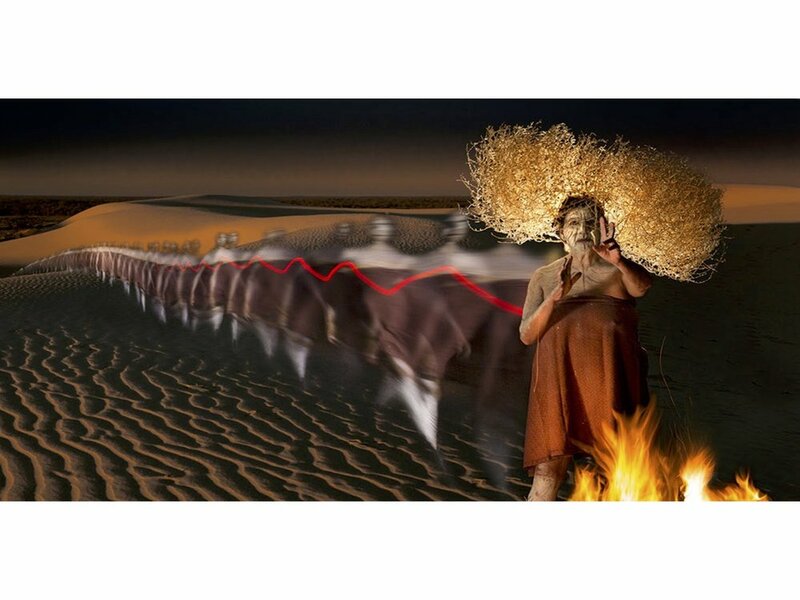 Fourteen artists – eleven regional and three metropolitan undertook field-based research and cultural exchange, visiting the traditional lands of the Wiradjuri, Paakantji, Ngyiampaa and Mutthi Mutthi peoples. 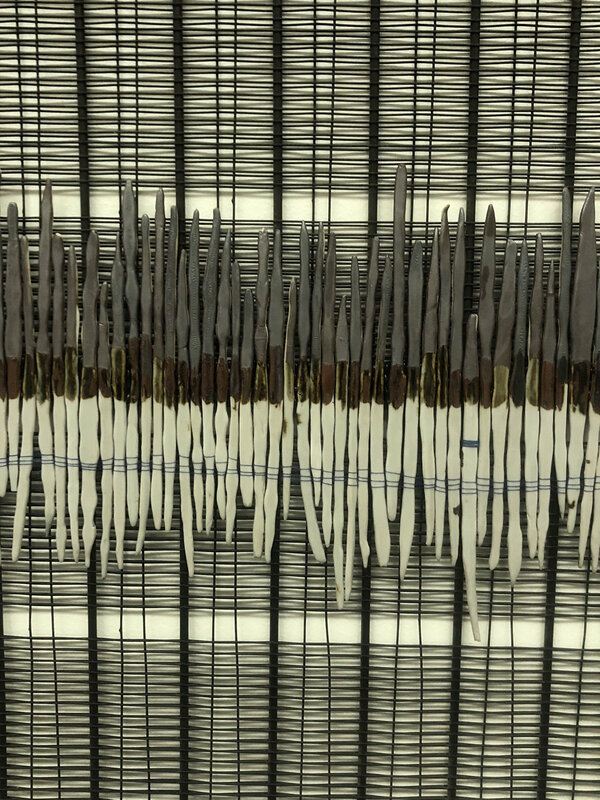 In response to the experience the artists developed new work encompassing installation, painting, sculpture, printmaking, photography, ceramics, assemblage, and soundscape. 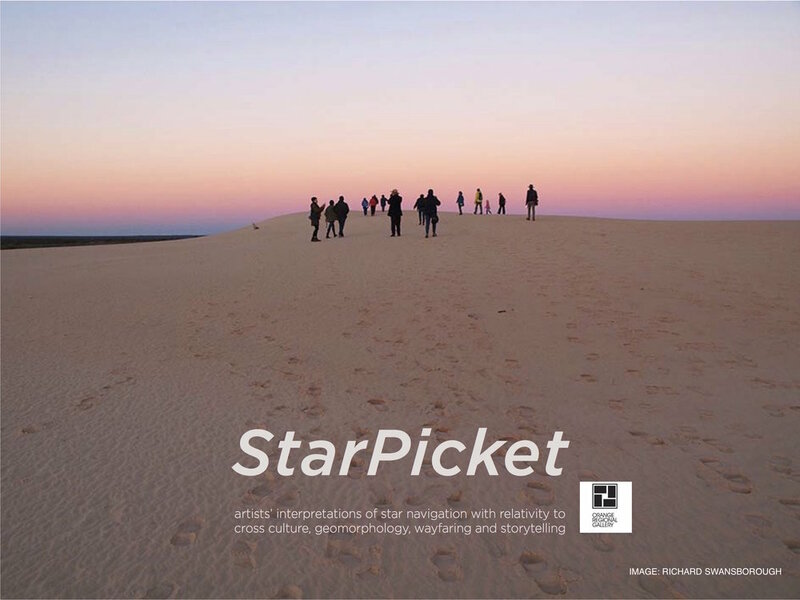 StarPicket is aimed at providing artists with collaborative experiences providing participatory dialogue between Indigenous and Western world views of the earth, sky, time and space with a view to developing their own visual narratives. StarPicket has provided a platform for artists to come together to share knowledge, stories and ideas in a cross-cultural exchange while interpreting and developing new work. The resulting collaboration and information exchange between knowledge holders and artists both on country, and in subsequent gatherings was a strength developed in the project. Each artist has produced new works which challenge and excite the way in which we define the night sky and interpretations of relationships to people and country in new ways. We would like to thank the artists for their dedication and studio production that has led to an inventive dialogue of expression and conversation culminating in an exhibition at Orange Regional Gallery. Many thanks to our principal supporters: Regional Arts NSW led by CEO - Elizabeth Rogers, Create NSW - Augusta Supple and Melodie Gibson, Arts OutWest - EO - Tracey Callinan, Trevor Leaman, Virginia Hilyard, Larry Towney, CEO of the Mudgee Land Council - Tony Lonsdale, Friends of Orange Regional Gallery, De Salis Wines, and Orange Council + the CORRIDOR project - Dylan Gower. Special thanks to Director, Brad Hammond and the staff at Orange Regional Gallery. We would like to acknowledge the Wiradjuri, Paakantji, Ngyiampaa and Mutthi Mutthi people and communities that assisted us on this project. We both wanted to say thank you to you both for orchestrating an exceptional exhibition and field trip that for us will be a highlight in our artistic journey. It’s one thing to have an idea and get it kickstarted, it’s another to follow through the idea and another to bring together a bunch of artistic people that organically hum to a beautiful note with curatorial savvy. You both make it seem seamless but we know it’s not, it takes a huge load of stamina and drive to make these collaborations come together. So sending much gratitude to you both for bringing it all together. Sky culture, cosmology and relationships to land pathways, can be defined through familial, anecdotal and historical translation through different cultures. Heirloom investigates cultural meaning, memory and divested objects that are bequeathed from one generation to another, both within one’s own culture and others. The numerous language groups across Australia also have varied sky stories which play an important role in our cultural connections, social structure, oral traditions, and cosmology.